I sent out a couple of messages today to legislators in Washington D.C. Please visit their websites (click their name) and send them a note to protect your rights as an American citizen. If you want to cut and paste from here, please do! To Tulsi Gabbard, I sent a short note with the subject heading: PROTECT THE 2ND AMENDMENT. Seeing the news and the gun massacre in Washington is upsetting. What is more upsetting is how government officials seem to think that these types of massacres are synonymous with needing to disarm its citizens. 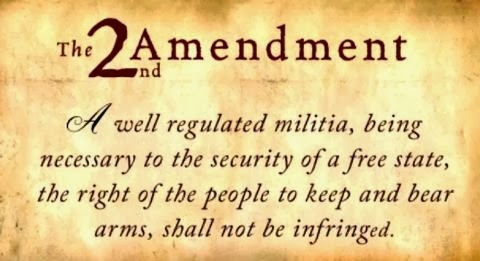 I ask you to protect my right to bear arms. The Constitution and the Bill of Rights are very clear on this issue. No event should ever trample the founding documents of this country. I feel more comfortable if I am just as armed as the criminals and the military force that surround me, especially here in Hawai'i. I recently read a news article on KHON2 that said that you would support more gun control legislation. I am upset that you think more gun control will prevent mass shootings. Guns don't kill people. People kill people. More laws on the books does not and will not change human behavior. Have we seen a drop in crime with more legislation? The answer is "no" and I am very upset that you are pushing to legislate against the 2nd Ammendment! As a resident of Hawaii, I suggest you protect the rights afforded us under the constitution and not effectively legislate against it. Next on my list is to contact my local officials here in Hawai'i. Guns don't kill people. People kill people. sis, can you post all ur letters and let me copy and paste them to my city officials? ur wording is concise and to the point. i'd probably go on and on and lose their interest at "Dear blah blah blah.."
I agree with you on the gun issue. I just lost a friend here who was accidentally shot while cleaning his gun. Sad. However, a law wouldn't change that. While I would never carry a gun in my house (because I have too many gun incidents in my family), I do believe in the right to bear arms.